A shocking discovery on a honeymoon in paradise changes the lives of a picture-perfect couple in this taut psychological thriller debut--for readers of Ruth Ware, Paula Hawkins, and Shari Lapena.If you could make one simple choice that would change your life forever, would you? 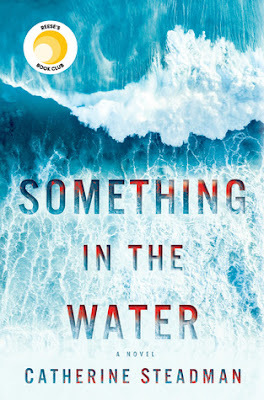 Something in the Water by Catherine Steadman is a 2018 Ballantine publication. You just got married, you’re in financial straits, looking at a drastic change in your quality of living standards, but you’ve already got a nice honeymoon planned in Bora Bora- so why not enjoy every minute of your vacation? That's what newlyweds Erin and Mark plan on doing before they head back to reality and an uncertain future. But, on a standard scuba dive they discover something in the water, a discovery that puts them in a very prickly position. However, the bottom line is they probably hit the Motherload. But, they also make another, very grisly discovery, and in their paranoid horror and glee, make a few whopping mistakes that could come back to haunt them. Can they get away with keeping something that doesn’t belong to them? Should they? What if someone finds out? The pressure they were under before is nothing like the pressure they are under now. As they work to cover all their bases, they face one moral dilemma after another, as lies and rationalizations take over and they slide further into moral bankruptcy every day. Erin, a documentary filmmaker, is our narrator, laying out the full story going back to when she and Mark first met. Mark’s job as an investment banker, ended abruptly and quite unexpectedly, forcing Mark to face the dismal prospect of having to take any job he can find, in an economic downturn. The treasure they find is the answer to all their problems, but they aren't prepared for the lengths they will have to go to in order to profit from their discoveries, while trying not to get caught. They soon find themselves rubbing elbows with less than trustworthy people, justifying their moral compromises and keeping secrets from each other. Right now, psychological thrillers are so popular publishers are rushing subpar novels with interchangeable plotlines into the marketplace in record numbers. It’s so bad I’ve begun removing PTs from my TBR pile, before I burn out completely. ( Sort of reminds me of the fever pitch PNR and Urban Fantasy reached back at the peak of 'Twilight's' popularity- thank God that's over! Maybe Fifty Shades of Grey knockoffs are on the way out too- one can only hope!) But- I digress. This book, however, had a very intriguing synopsis and the ratings were mostly favorable, so I had to see why it was popular. While I was hopeful, I also approached the book with cautious optimism. Thankfully, despite my having picked up on a few ‘tells’ early on in the novel, I found myself caught up more in the character’s fear, guilt and self-loathing, their guilty consciences- or lack thereof- battling against the need to cover their butts and pull off the caper of the century, all so they can maintain a lifestyle they had grown accustomed to. It was an interesting journey, from that standpoint. 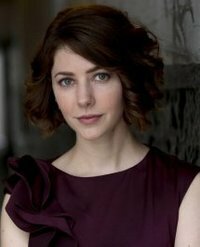 The parallels between Erin’s documentary subjects and her own life didn’t go unnoticed and the role they played in the story was ironic. However, the characters were often so naïve, so utterly clueless, I wanted to scream- or maybe I didn't give them enough credit. You’ll have to be the judge on that one. Overall, the story is a little predictable, but I was very engaged, and very interested to see how everything would turn out in the end. It’s an addictive read, with some well- timed twists, that are every effective. Overall, I ended up enjoying this one for the most part. It has a few flaws but didn’t feel like a book written just to cash in on a trend. Perhaps, Steadman will try her hand at this more often- in between her acting roles, of course.